Hawk's Nest, or The Last of the Cahoonshees. 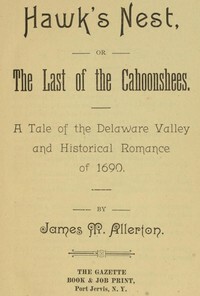 Title: Hawk's Nest, or The Last of the Cahoonshees. download the ebook Hawk's Nest, or The Last of the Cahoonshees.